Derbyshire Sport works with a whole host of partners to ensure an inclusive approach is taken to physical activity and sport across the county. We are committed to ensuring that inclusive sport is at the heart of everything we do in order to provide opportunities for everyone to participate. 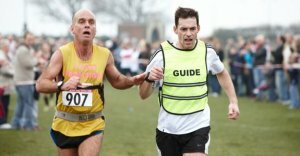 Read more about the range of impairments in Sport England's 'Mapping Disability: The Facts' report. It includes information on disability by categories such as gender and age. Watch and listen to people who have different impairments about how they use physical activity to help their mental and physical well-being. Video by EFDS. 1. Everyone involved in providing sport or physical activity will support disabled people to participate. 2. 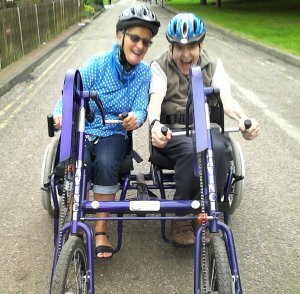 Disabled people will have the same opportunity as non-disabled people to be active throughout their lives. 3. All communications about sport and physical activity will promote positive public attitudes towards disabled people's participation. Click here to find out more about the Charter for Change. Matthew Dalley, our IMPACT project ambassador. Derbyshire Sport also manage disability focused sport and physical activity projects that aim to engage with more disabled people. 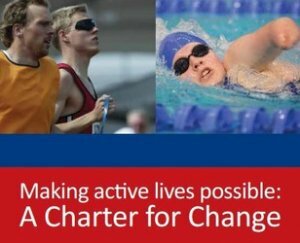 Sporting Chances, Sporting Choices - Sport England funded 3 year project aiming to get more disabled people active into sport. IMPACT inclusive volunteering - Sport England funded 1 year project aiming to get more disabled people volunteering in sport. Adapted Physical Activity training - throughout 2016 over 100 people including sports coaches received training on how to adapt their sport and physical activity sessions.